ABOARD QUANTUM of the SEAS — I’m in Shanghai with my wife, Jialin, for a twofer, two cruises back-to-back with Royal Caribbean International (RCI) and Holland America Lines (HAL). I expect they will differ considerably. 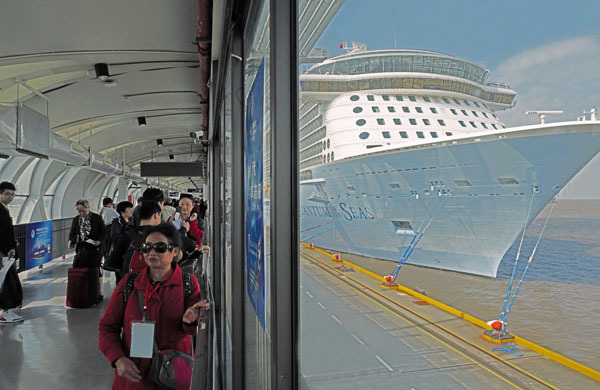 We arrived at Shanghai’s Wusongkou International Cruise Terminal, this morning at 11 AM to board the Quantum of the Seas, the fifth largest of Royal Caribbean International’s innovative megaships and sixth largest cruise ship in the world, for a four day cruise across the East China Sea and back. Our only destination port will be Fukuoka on the northwest coast of Japan’s southern most major island, Kyushu. 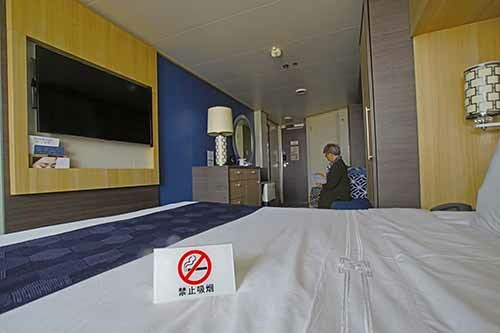 Some non-Chinese passengers might be a bit discomfited by this (see David Molyneaux’s All Things Cruise article on cruising from Hong Kong on the Ovation of the Seas, https://allthingscruise.com/a-gruntled-american-cruises-in-a-sea-of-chinese-on-royal-caribbeans-ovation/). 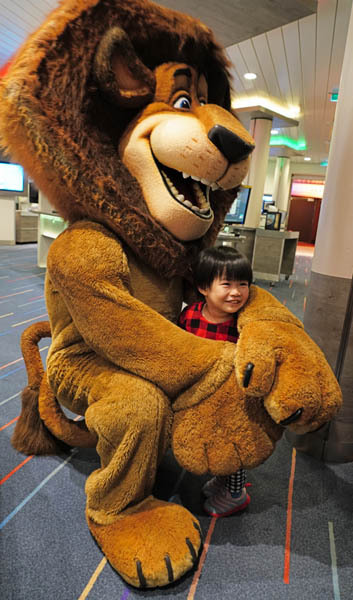 Nevertheless, I’ve traveled in China over fifty times and Jialin is from Nanjing, so we expect to feel quite comfortable with our fellow passengers. 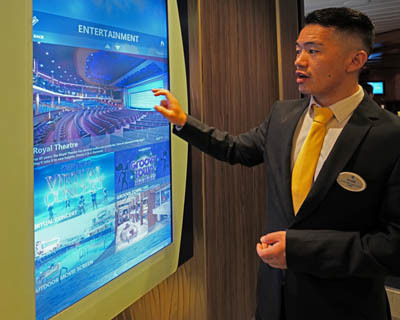 As Mandarin is the official language on the ship for this cruise, I can rely on Jialin to keep me up speed on all things aboard from activities to cuisine choices. Unfortunately my Chinese language skills have never progressed much beyond hello (ni hao), thank you (xie xie), and let’s go (zou ba). I will also have a tiny Ili voice translator that speaks Chinese (and Japanese) tucked in my pocket just in case Jialin’s not around. Royal Caribbean is the cruise line at the forefront of building and operating what they call “smart ships,” cruise ships that have been built to include digital technologies such as faster and more widespread internet, video streaming and online social sharing, faster check-ins, bracelets or medallions that communicate passenger preferences or allow people to make reservations or purchases. Until the late 1970s, cruise ships offered few amenities, deck chairs, usually a pool, drinks with umbrellas, shuffleboard, and not much else for a few hundred passengers. 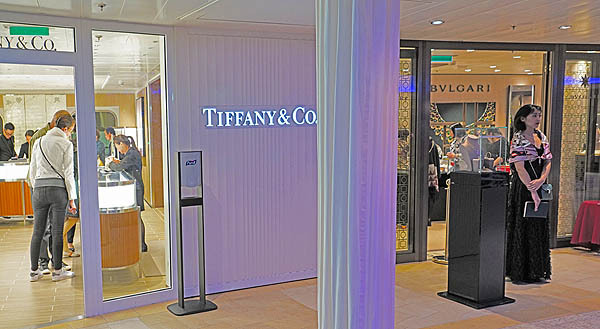 After 1980, the amenities multiplied with the expansion of ship sizes and as of 2009 with the introduction of the Oasis of the Seas, megaships now offer a plethora of amenities in various forms to keep passengers entertained as adventurous participants and/or as amused observers. I’ll be photographing and commenting on these on the upcoming days we’re at sea. There have been nine or more new cruise ships added every year since 2001, all exceeding one hundred thousand gross tons. The only comparable ocean liner launched during this period was Cunard Line’s Queen Mary 2 in 2004. After her running mate the Queen Elizabeth 2 was retired in November 2008, Queen Mary 2 became the only liner operating on transatlantic routes and servicing various others. Just last year we were on a cruise following her through the Suez Canal. For a short time the Queen Mary 2 was the world’s largest passenger ship before Royal Caribbean’s Freedom-class vessels surpassed it in 2006. The Freedom-class ships were subsequently overtaken by RCI’s Oasis-class vessels, which entered service with the launching of the Oasis of the Seas in 2009. In the three decades since 1988, the largest class cruise ships (RCI’s The Symphony of the Seas now being the largest) have grown a third longer (from 268 meters to 362 meters), doubled their widths (32.2 meters up to 65.7 meters), more than doubled the total maximum passengers (2,744 to 6,870), and tripled in weight (surging from 73,000 gross tons to 230,000 gross tons). Concurrent with this growth, the “megaships” transformed from a single deck with verandas to all decks with verandas. To paraphrase the observations of one cruise writer, while the golden age for ocean liners has faded, we may now be experiencing the golden age of cruise ships for decades to come.